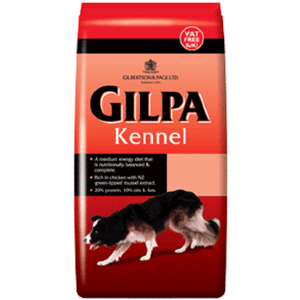 Gilpa kennel is a complete dog food especially formulated for sportin and working dogs. It is a medium energy diet that is nutritionally balanced. Rich in chicken and new Zealand green lipped muscle extract. 20% Protein & 10% Oils and Fat.